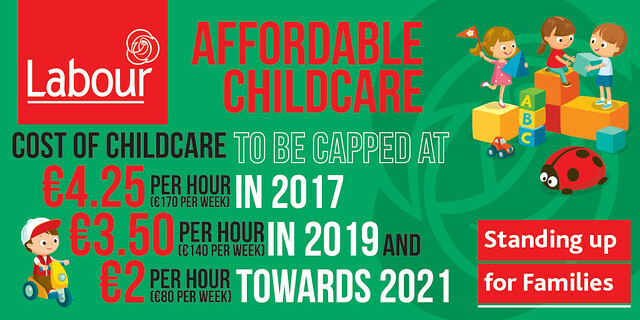 Labour will make low-cost, high-quality childcare for all children under 12 a reality, while working to ensure those who provide childcare services receive the respect and remuneration they deserve. In Government, we have expanded the subsidised childcare available to low-income families, introduced the first supports for children with special needs in pre-schools, and passed a referendum enshrining the rights of children in our constitution. Download our policy document in this area (5746k).